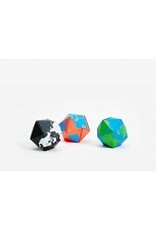 For kids and the curious...this globe made of Synthetic Paper and Magnets, folds and snaps into the whole world. You can look at the world flat and three dimensional without losing any detail. 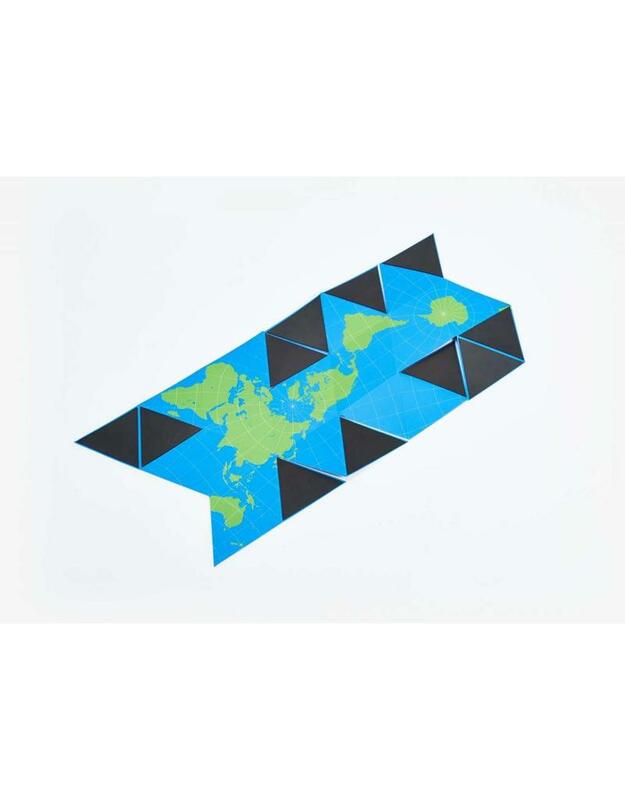 In 1945, Buckminster Fuller patented the Dymaxion Projection, a map of Earth which presents geographic information without breaks in any of the conventional contours, or any visible distortion of the relative shapes or sizes of land masses. 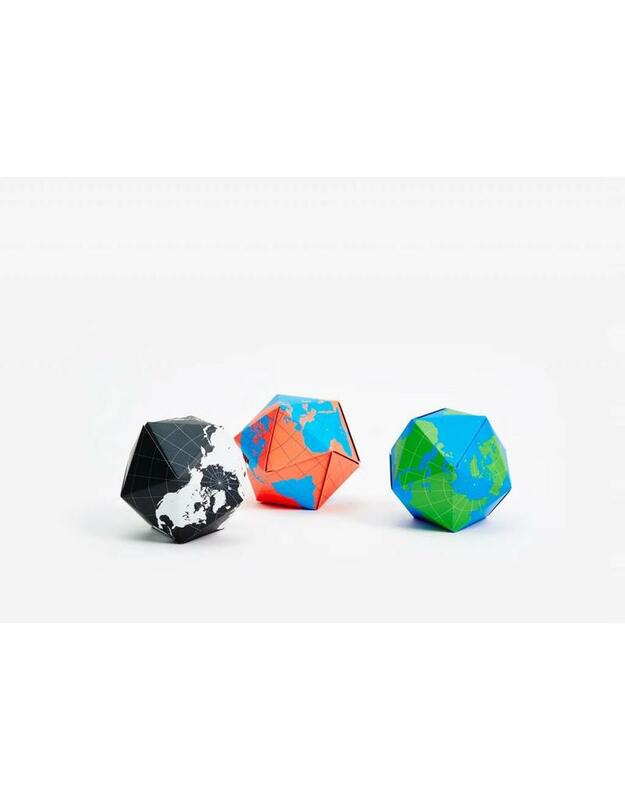 Designer Brendan Ravenhill has configured Fuller's projection as a magnetic folding globe, a representation of Earth that easily transitions from flat to three dimensional. 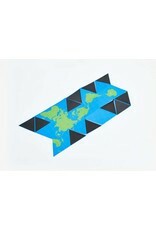 This edition of the map shows only land and sea, depicting Earth as an archipelago absent of its territories.